The matte finish on the case is nice and robust. LED's for power, storage read, PSU shroud, and case rear look clean (not overly bright) and can be turned on or off with a rear case button. Snap-on top and front panel allow quick and easy access to dust filters. Front dust filter is attached with a magnet and is very easy to access and clean. Poorly considered PCI-E slot device clearance. For a case at this price, touted as an enthusiast case, and applauded for its well thought out and spacious radiator clearance, it has issues accommodating one of the most popular GPUs at the time of its release. The MSI R9 390 is absolutely thick at 3 inches but the sloping PSU shroud is an unnecessary design flaw that removes GPU clearance for absolutely no reason. 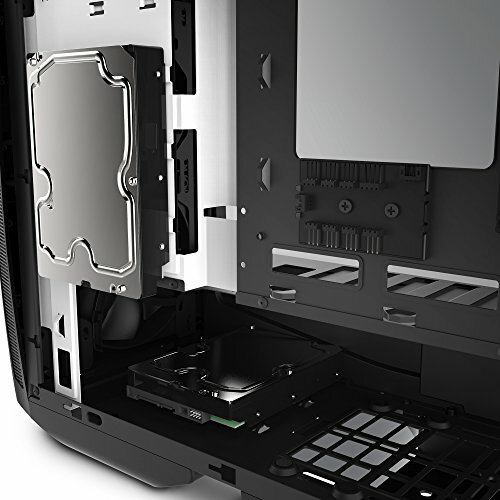 A backplate isn't enough to prevent fan contact, only physically bending the shroud and adding a GPU standoff will provide the necessary clearance. I'm not sure how this was tested, but it seems like a glaring oversight. All that said, I do like the case. Mini-ITX sacrifices build space and temps for a smaller footprint, and while this case barely reduces the footprint from a mid-tower, it does so while retaining enough premium features to satisfy me while looking excellent. ** Thought I would note that after about 2 weeks with a 2.5 inch thick video card in the PCIE slot that my video card fan caught in the PSU shroud slot and broke a blade. No amount of bending, standoffs, or configuration gave the video card enough clearance. I removed the 3 screws and the permanent bolt from the PSU shroud and added a separator to push the high angled section of the shroud down to lay flat. The card now has enough clearance. This case is totally awesome! The amount of room to work with inside is great, and it allows for great cable management. A well designed and awesome looking case. Best case I have ever used. Its a little bit pricey, particularly considering larger cases with similar features are cheaper, which is the biggest draw back. 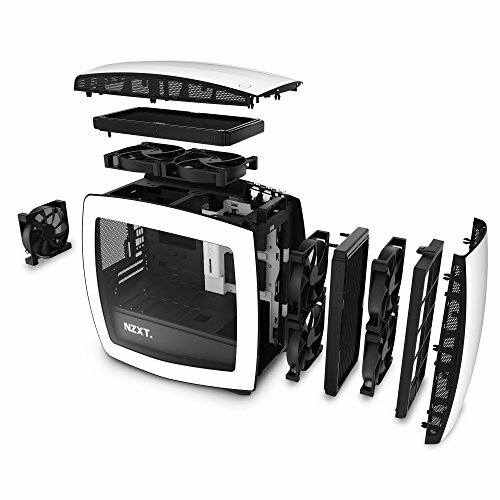 It is also a larger case, Probably 2/3rds the size of a mid tower case, so if you want a really tiny ITX build, this might not be the perfect solution for that. The build quality though of this case if fantastic. 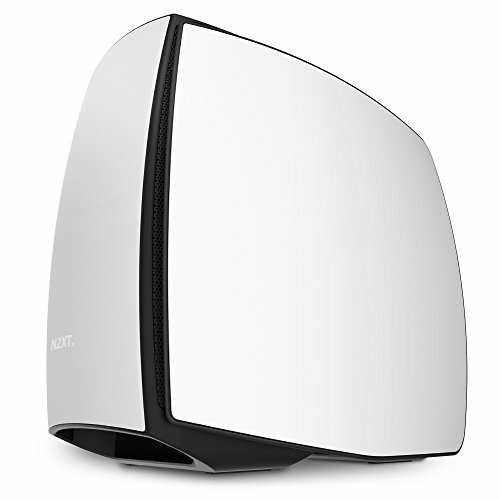 The matte white panels are nice a solid and have a very attractive minimalist look. 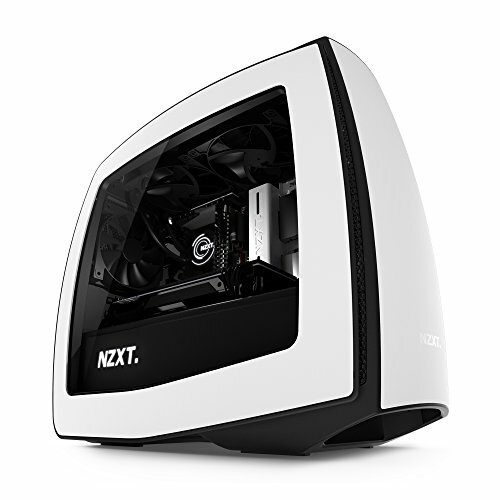 The curved sides make the case interior nice and roomy which helps tremendously with cable management, radiators, fans, and lighting. So this has pretty much been the centerpiece of the build. I love the compact Mini-ITX form factor. Basically, for me, it allows you to focus on just getting what you need and not worry about going overkill. Building in this is really super easy. I'd recommend getting a modular cable PSU as it'll result in less cables stashed under the shroud. As you can see from the photos, there are absolutely no problems with routing cables however you want. Sure, no built-in plastic clips on the back, but a $10 bag of 100 velcro ties and a few plastic zipties in some tight spots worked just fine for me. The PSU shroud really helps sweep the remaining cables under the rug for a cleaner look. Really love the ability to run 4 drives here. Ample space and good airflow for the GPU. Also, great case fans as well! 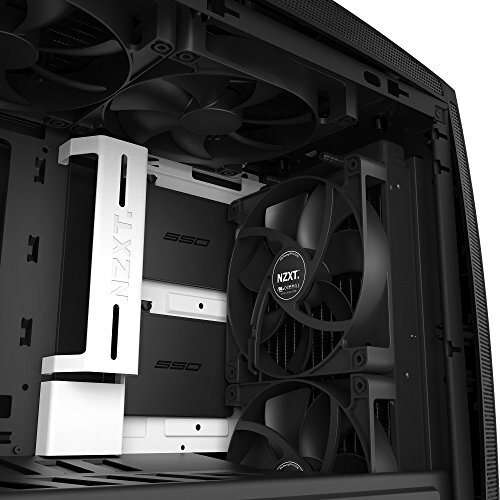 Speaking of case fans: you will be connecting them to the same PWM hub as the CPU cooler. So your CPU cooler fan will have to run at the same minimum speed as these guys, and you will have to adjust the fan curve in BIOS accordingly (in my case – a slight RPM increase at the bottom of the curve). Air filters are easy to get to, remove and clean. All of the panels, not just the side panels, are easy to remove and put back on. My only complaint about the case is... The glass. Yes, the plastic IS fragile. It WILL accumulate mystery scratches and there's nothing you can do about it really, except embrace it :). If scratches on case windows are an issue for you, DEFINITELY look elsewhere, in a tempered glass direction, obviously. I did have a minor freakout after the first few scratches, but honestly, I don't care at all at the moment. 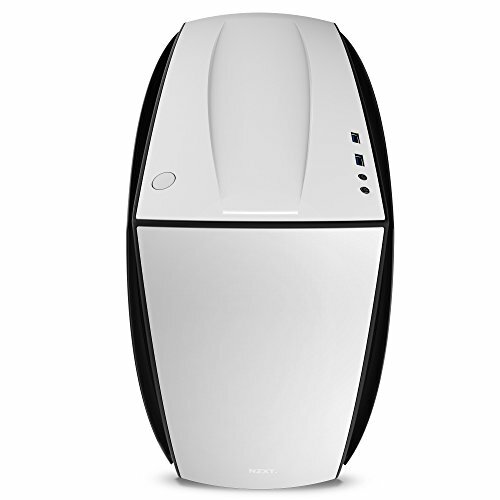 The case is a dream to work with, very well built and spacious...for its size. I have small hands, working in this was easy, but my male counterparts all had difficulty assisting me, lol. As others may mention, it is a bit large for its size category, but the extra clearance is much appreciated. Airflow is absolutely stellar. I do wish the hoods were removable, though. All of them. Would make assembly a bit easier. A large case for mini-ITX. The cable routing is awesome, I was able to tuck away most of my cables around the back and out of site. The included case fans are nice, I haven't found a reason to switch them out with anything else. The window wills scratch easily so only remove the protective film after you finish getting everything in the case. The rear panel LED light is very nice and lights everything up so you can see what you're doing. 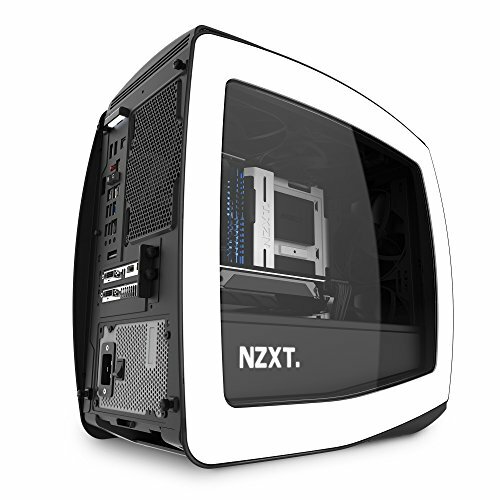 I don't like the white-on-white Microphone and Headset symbols on the top panel of the case. They are hard to see so you have to stop and let your eyes adjust for a couple of seconds to make sure you plug the cables into the right spots. A true pleasure to work with. Astounding amounts of space for cable management. Sound dampened panels and exquisite looks make it an on-the-desk case. It would be wasted staying on the floor. I love the look of this case, If you want your case to stand out it is worth the price. 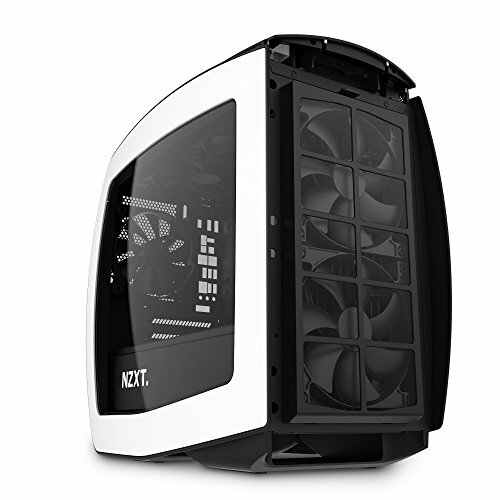 However, it is a large mini ITX case, this allows for better airflow and temps, but the Manta is ultimately and full size case with no SLI support. Stunning case. Yes, it's big for an ITX system, but it's ok for me. The case looks awesome and its build quality is great for the price. It's also really easy to build, probably the best case I have seen so far, especially for cable management and airflow. The window is easily scratchable, a tempered glass panel would really be appreciated, even if it would increase the price of the case. 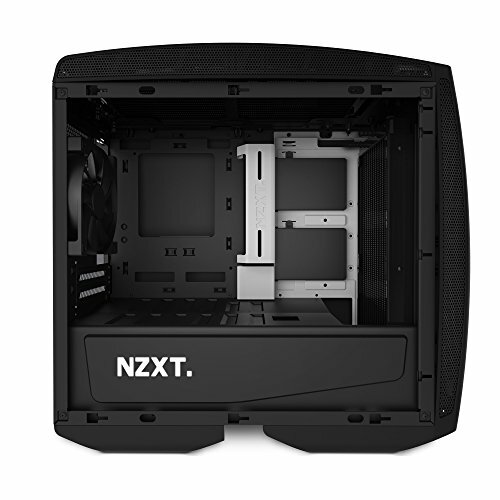 The NZXT logo has changed, so the case is outdated. Not a big deal. The SSD caddies are reversed. Fan Hub is powered by molex connector. This is non sense, this standard should disappear. GPU clearance from PSU shroud is too small.